Bosses at Royal Bank of Scotland have warned over a Brexit hit as uncertainty weighs on the economy. 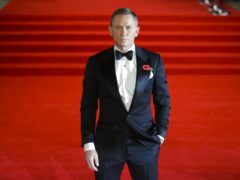 Chinese vice premier Hu Chunhua has told Philip Hammond of his regret that the South China Sea issue has harmed relations between his country and the UK. A G4S driver has admitted stealing almost £1 million from one of the firm’s vans. AFC Wimbledon host Wycombe on Saturday looking to move out of the Sky Bet League One relegation zone. Sunderland boss Jack Ross will once again make a late check on winger Aiden McGeady ahead of the club’s revenge mission against Sky Bet League One promotion rivals Portsmouth. Walsall will hope Adam Chambers can make a late return to contribute to their League One survival fight. 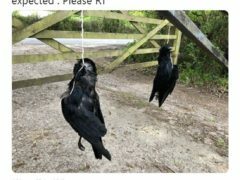 Dead crows have been left hanging outside the home of Chris Packham after he backed a legal challenge which resulted in restrictions on shooting ‘pest’ birds.